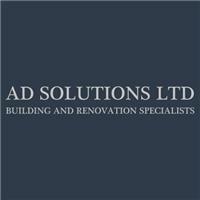 A.D Solutions - Bathrooms, Bedrooms, Builder, Home Improvements, Kitchens based in Lydiard Millicent , Wiltshire. We are a Wiltshire based building firm specialising in a wide range of commercial, residential and public sector properties. Established in 2002 we have grown to become one of the largest builders in Swindon and cover areas such as Marlborough, Cricklade, Cirencester, Farringdon and surrounding villages. Customer satisfaction has always been our number one priority and 90% of our work comes from either repeat customers or referrals. With the use of our project manager, we are able to design and complete a wide variety of projects from large extensions through to kitchen and bathroom renovations. We employ a complete range of trades allowing our customers the peace of mind and convenience of knowing that all their property needs can be managed from one simple call.